Mercury Retrograde cycles occur approximately 3 times a year, 3-1/2 weeks each time. From the point of view of the Earth, it appears that the planet Mercury is going backwards in its orbit. What is physically occurring is that Mercury is slowing down in its elliptical orbit around the Sun, and because the Earth is continuing to spin on its axis, Mercury appears to be going backward. When this astronomical phenomena occurs, there are predictable, marked effects in our experience on Planet Earth. 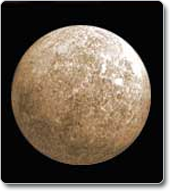 In astrology, the planet Mercury rules the conscious, logical mind. When the planet Mercury goes backwards, our thinking starts to go backwards into a reflective mode. During the time period of this phenomena, we all experience certain psychological effects in common: inattention, confusion, reversals of decision and then getting back on the right track again. We experience unexpected, emotionally-charged miscommunications with others and the necessity of repeating actions more than once to get them right. If you are unaware of the cycle, it can be frustrating. If you are aware of what is going on in the atmosphere, you can greet the inevitable glitches with a sense of humor. Oftentimes, things you do under Mercury Retrograde have to be repeated. If you have your car repaired, you may have to take it back to get the job done properly. Because your thinking is not in its usual bent, creative ideas that occur to you under this cycle will often not seem viable when Mercury goes into direct motion. It is best to wait until after this cycle is over to enter into agreements with others or to present new ideas. Physical arenas that are ruled by Mercury seem to go haywire at this time: computers, telephones, printing, all fields related to transportation or communication are particularly vulnerable to malfunctioning during the Mercury retrograde cycles. Sign contracts; begin something new; make firm decisions for your future based on what you see during the Mercury retrograde cycle; go to the dentist, doctor or car repair service (unless its unavoidable, or you are prepared to go back for a repeat of what you originally went in for); take yourself or others too seriously; make new relationship decisions; try to force others into making decisions. DO take more quiet time to yourself. Slow down, you probably feel a bit muddled. Take a break from outer accomplishment. This cycle offers the opportunity to know yourself more deeply. It’s a great time to write in a journal, for prayer, meditation and reflection. Discover your own inner world what’s true for you, what’s important to you, what you actually think. When the cycle passes, you will feel rested and ready for fresh activity to go forward with projects in the world. You will have gained a greater awareness of what’s really important to you where YOU want to invest your creative life energy. DO work on and bring to completion projects already begun especially those that involve working on your own. DO take the time to listen and repeat communication if you are in doubt about mutual mental rapport. Slow down your speech and deeply connect with others speaking with your heart involved, as well as your mind. If you don’t feel the other person has understood what you said, gently ask them to repeat it. (ie: I’m not sure that I communicated clearly here what did you hear me say). DO check your calendar carefully to be sure you don’t miss an important appointment, and call others to confirm appointments they have with you. People can be a bit forgetful during this transit. DO have a sense of humor. Everyone gets stressed out when Mercury is Retrograde. Toward the end of the cycle, folks don’t even go out too much for dinner or social activities. They become so fearful of something going wrong or of being misunderstood, they just hole up in the safety of their homes. Ridiculous glitches will happen unbelievable miscommunication will occur. Because you have the inside scoop on what is happening in the atmosphere Mercury is Retrograde and these absurd things are occurring, you can have a sense of humor as you watch the effects of the cycle in action.